Almost all artist’s books fall into one of these three classic forms. Once you learn these basic forms, you’ll be equipped to create a variety of different books for your art journals, photos, and more! Take a look at a preview. Listen to Jenn Mason's interview with Dea Fischer. 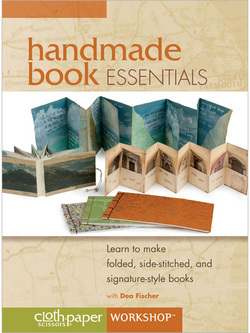 Published by Interweave Press, and available from the Interweave Store and from art stores nationwide.